#TeamCrossrail Blog: Ed Batty - Shift Engineer working for Crossrail's Western Tunnels team - Crossrail . For information about the Elizabeth line please visit the Transport for London website. My first contact with the Crossrail project was the result of a scholarship scheme that I was lucky enough to be awarded in my second year of university. The scheme paired me with BAM Nuttall and included a number of summer placements and an industrial year spread across my Civil Engineering degree. The final vocational placement of the scheme was at Crossrail’s Old Oak Common segment yard, in west London, in 2011. Here I was a trainee site engineer setting out what would be the precast factory and yard for Crossrail’s western running tunnel segments. 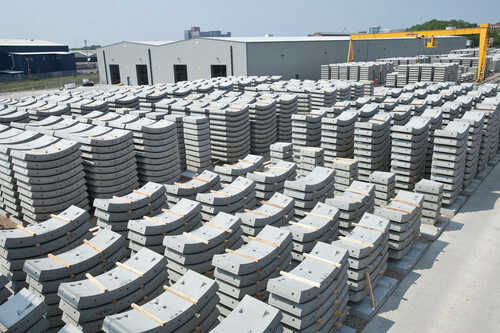 Image: Concrete segment yard in Old Oak Common at full production. On completion of this placement and my masters I was offered a permanent position on the project with the Western Tunnels team contractor, BFK (a BAM Nuttall, Ferrovial and Kier Joint Venture), this time as a Shift Engineer on the eastbound tunnel boring machine. As first jobs go there aren’t too many larger - or more daunting for that matter - than tunnelling below the streets of one of the world’s busiest cities. I was part of the team that helped construct the eastbound running tunnels between Royal Oak (just west of Paddington) and Farringdon, guiding Ada, our giant tunnelling machine, through a maze of existing underground tunnels and utilities under Tottenham Court Road. In its simplest form, the team and I are basically moles digging through the night whilst the rest of the world sleeps. Little did I know when I took the job that I would end up doing most of this with a BBC documentary camera crew joining us for the journey. Image: Tunnelling machine Ada breaking ground at Royal Oak Portal, August 2012. Since the filming of the documentary my job role has changed a little. My current role is a Sprayed Concrete Lining Shift Manager working on the cross passages between Royal Oak Portal and Bond Street Station. The cross passages are small emergency access / drainage tunnels which range between 4 & 6m in diameter. My day starts with a 4:55am alarm. There is no option to snooze here -straight up, shower, breakfast then a rush to catch the 5:30am bus to Canada Water station. The Jubilee and Hammersmith and City lines get me to Westbourne park for around 6:15am. This gives me plenty of time to sit down with the previous Shift Manager to discuss what progress was made the night before, what issues (if any) had arisen, and to get a clear idea of what my team’s tasks and activities for the shift will be. Following this handover I brief my Shift Engineers and Miners on the planned shift activities. If we’re driving a tunnel I usually spend the first hour or so on site making sure everything is in order for the day’s work. As the day progresses I monitor the work, plan upcoming works and give guidance on whatever problems we may face. It sounds easy but the role requires you to be on your feet constantly, making sure everything is going to plan. 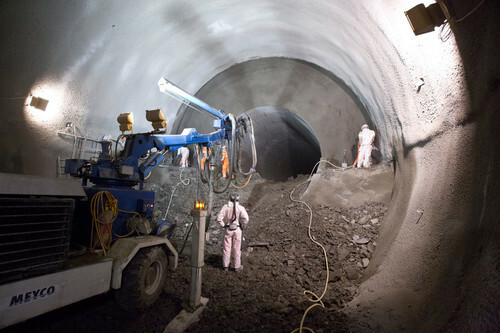 Image: Sprayed concrete lining works for Bond Street station platform tunnels. Image: Huge caverns created underground at Bond Street using sprayed concrete lining tunnelling technique. Far and away, what I’ve found most enjoyable about working on the Crossrail project is the fact that I’m constantly learning. So far the project has given me a wide range of experience in different types of construction and tunnelling - and all of it working with the best people in the industry on the biggest project in Europe. Completing the Eastbound Tunnel drive - all 6.9 kilometres, from start to finish. 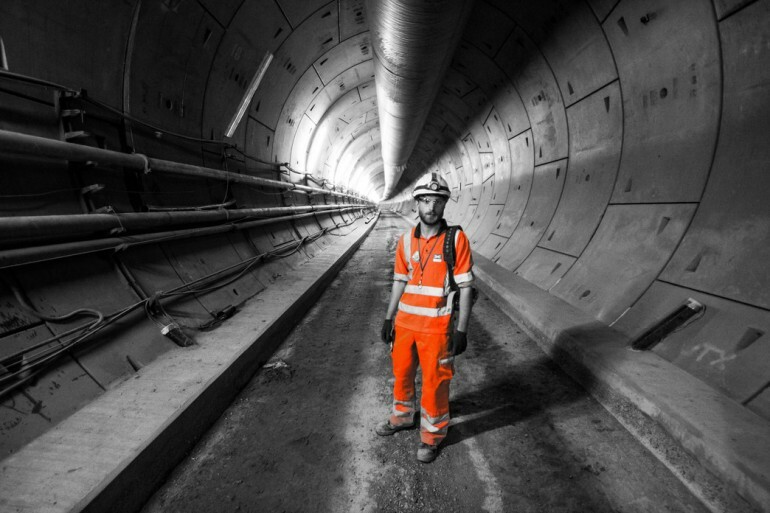 Being part of the team that operated the machine, installed over 4,600 tunnel rings, churned out over half a million tonnes of earth and leaving behind a tunnel that will stand the test of time and, in just a few years, have the brand new Crossrail trains running through it fills me with immense pride. Making the change from a TBM Tunnel Engineer to an SCL Engineer / Shift Manager. It’s not an easy transition by any means, and there are a-million-and-one things to take in in such a short period of time. So, what next for me after Crossrail? As the work with BFK comes to an end on the project over the next year or so, I am forced to start thinking about my next big move. What that will look like I’m not sure of at this stage. I’d like to get some design experience to add to the CV, perhaps put the orange clothing to one side for a short while… anything that will give me a nice break from that 4:55 am alarm I mentioned previously. 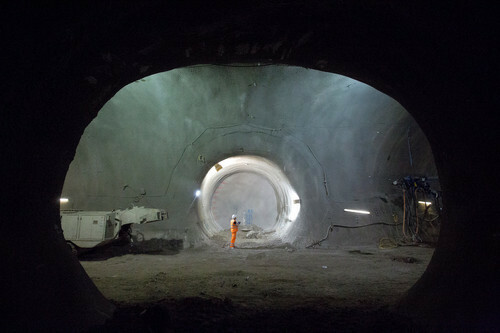 Find out more about the BBC Two Crossrail documentary series. 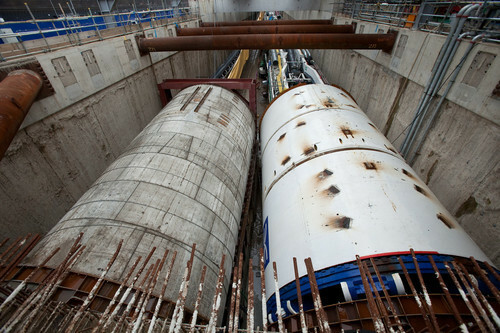 Find out more about tunnelling works on the Crossrail website.